The Peak Design Travel backpack is a versatile and modular camera bag with lots of interesting features. 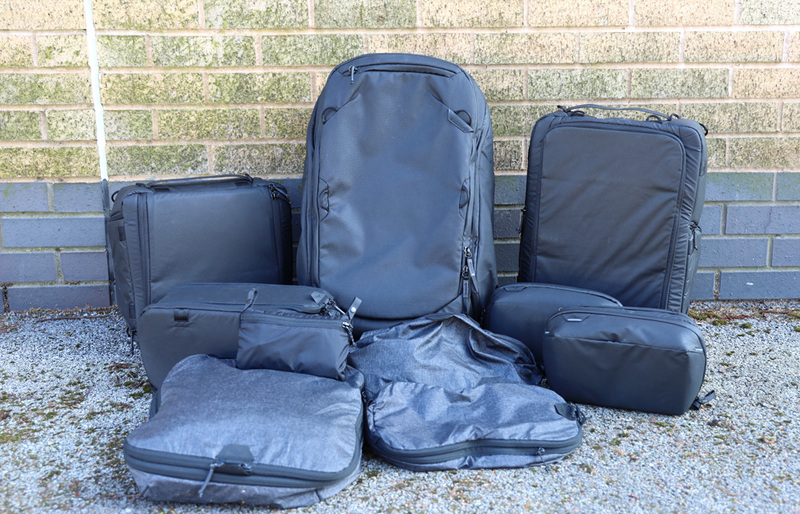 The bag feels a little over-engineered and sacrifices some aspects of comfort for practicality, but the modular design works well to protect your kit and give you space for personal gear. If you pack light and don't need to carry more than a camera and a couple of lenses with you, the bag offers the potential to be a good travel companion. If you're flying with it then you might find its weight restrictive. You'll only be able to use its smallest capacity if flying, too. The Peak Design Travel backpack is a truly modular rucksack designed for those that want to take more than just photography gear on their trip. The bag can be fitted with a selection of Packing Tools, sold separately, to keep your gear and your personal belongings neatly organised. With a 45L capacity and a host of innovative features, the bag retails for £299.99 (bag only). Here, we put it through its paces. 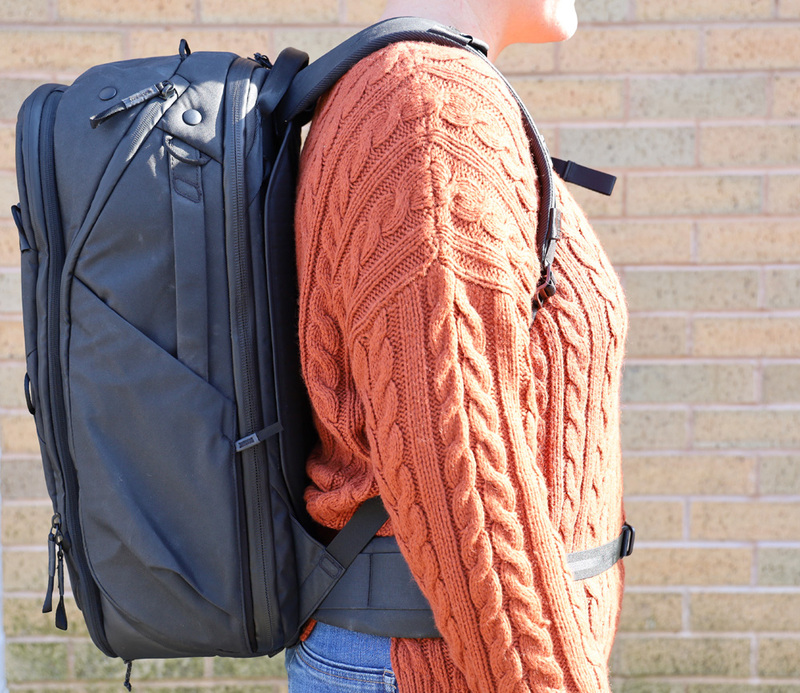 With the Peak Design Travel backpack, modular has been taken to the extreme to create a bag which enables you to easily switch out different elements, and keep everything separated and organised. The bag itself isn't short of unique features. 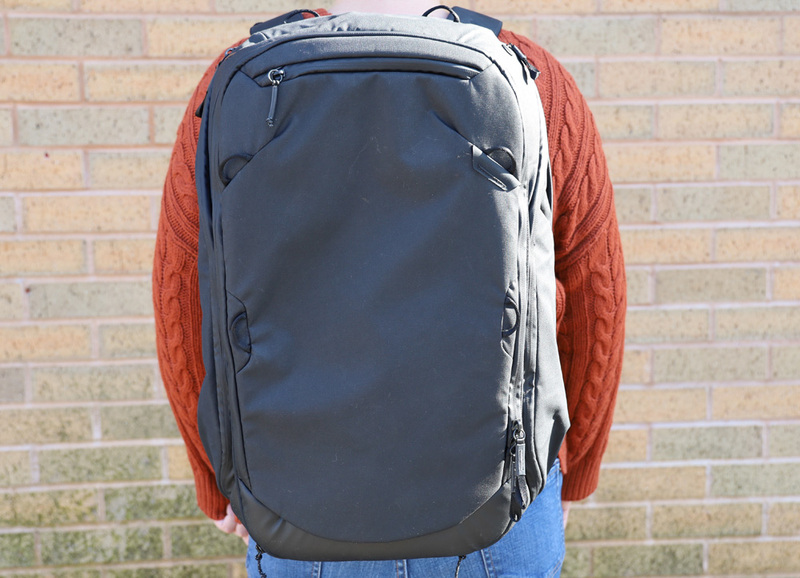 The shoulder and waist straps can pivot and can be hidden behind magnetic panels when you're carrying and stowing the bag. 360 carry handles allow you to pick it up from pretty much any angle. 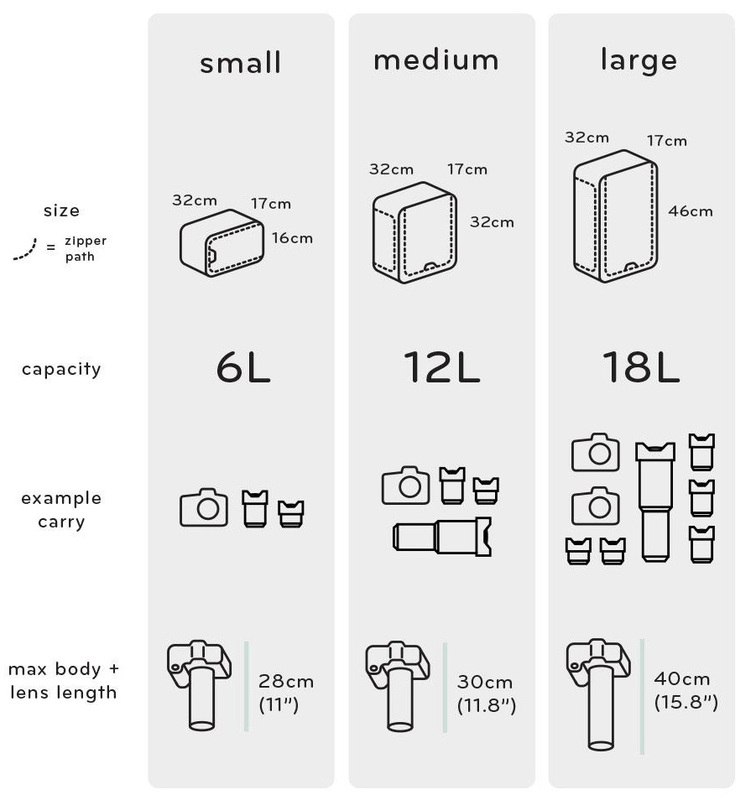 The bag can be both compressed and expanded from a standard of 35L, internal poppers inside the main pocket can draw it into a smaller 30L capacity, and external zips can expand the bag to the full 45L capacity. There are front and rear zips giving you easy access to the main compartment - a mesh divider with 2 zipped pockets also creates a separate front pocket, if you don't wish to be able to access the main compartment through the front. On the front flap, there's a small zipped pocket for your documents or personal accessories. On either side, you'll find pockets that can house tripods, and on each of these are vertical zips to house small accessories. Behind these are zipped side panels giving access to the main compartment and allowing you to quickly access kit. The rear dual-zipped flap opens to reveal a laptop compartment which can house a 15-inch laptop. There are extender zips running around the outside, which can give you an extra 10l of space. Without any Packing Tools, the bag is an empty shell which might prove useful for other pursuits, but won't be much use for your camera kit. Here, we'll break down the packing tools available for the bag. 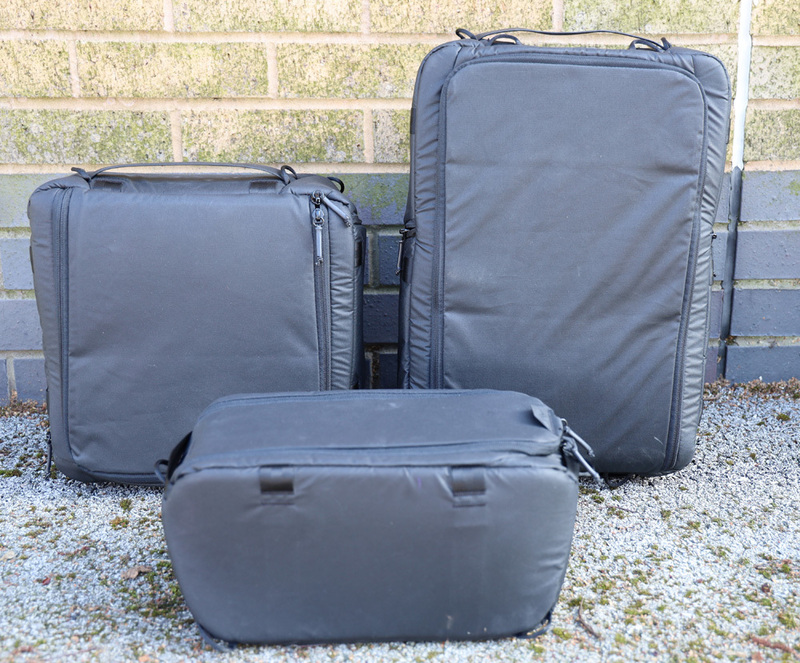 Ideal for your battery packs, SD cards, phone chargers, plugs and cables, the Tech pouch is a compartmentalised insert with lots of pouches and pockets for all those fiddly items that would otherwise get lost in a large bag. Keep it all together with the origami style pockets designed to maximise space efficiency. 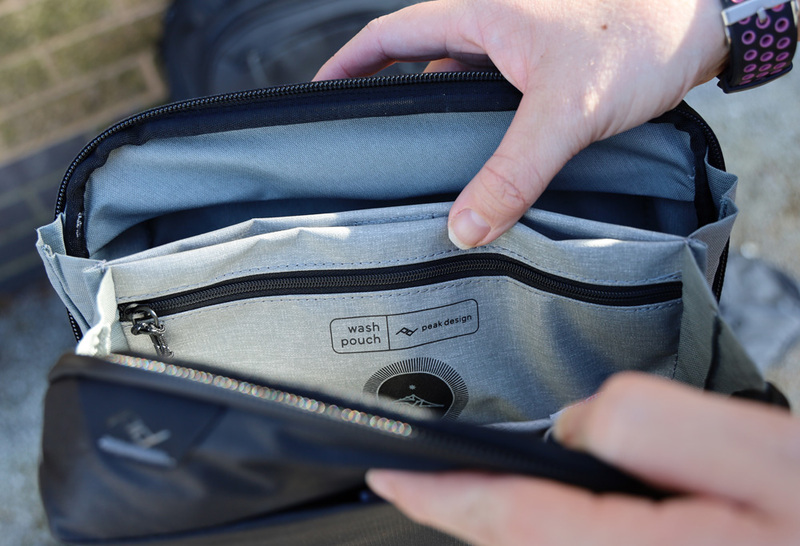 If you want to add an overnight stay to your photo shoot the Wash Pouch provides a magnetic-closure toothbrush pouch, separate razor pocket and vertical mesh pockets to help you keep everything in order. There's also a hanger, for easy access to the contents of your bag. Available in small or medium capacity, the packing cube is made from super-thin self-healing 70D nylon offers an internal divider for separating dirty and clean clothes, and an expansion/compression zip to keep space taken down to a minimum. Peak Design say the small cube can hold up to 10 t-shirts, while the medium can hold up to 20. Keep everything clean and tidy by stowing your shoes in this pouch. 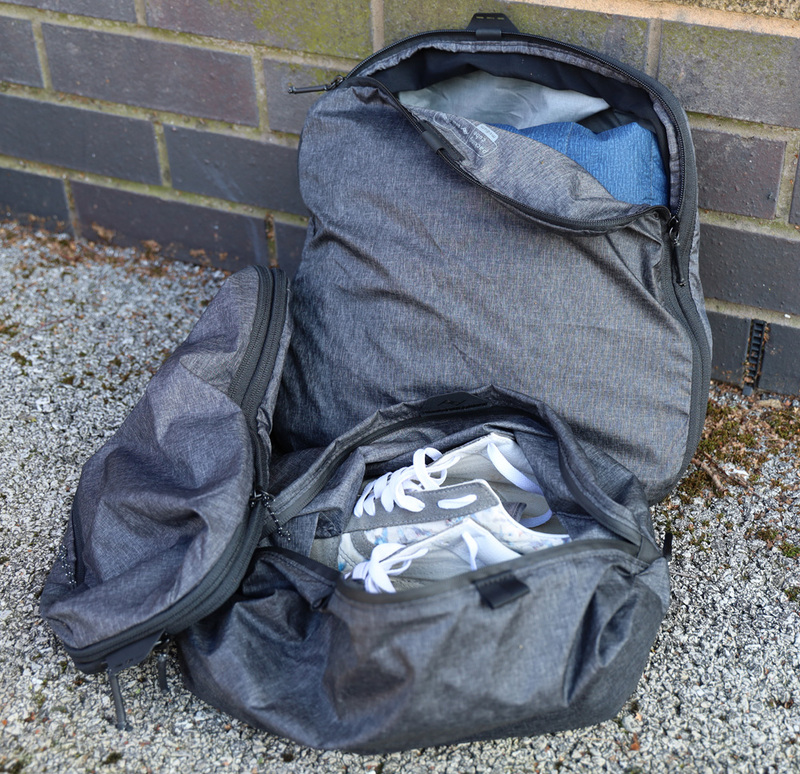 It can fit 1-2 pairs of shoes and can be used for other things such as extra clothing too. It can also be folded down into an integrated storage pouch when not in use. A packable rain cover that stows into a compact pouch. A truly modular design allows you to pick and choose the components you need for your photography and personal kit requirements.